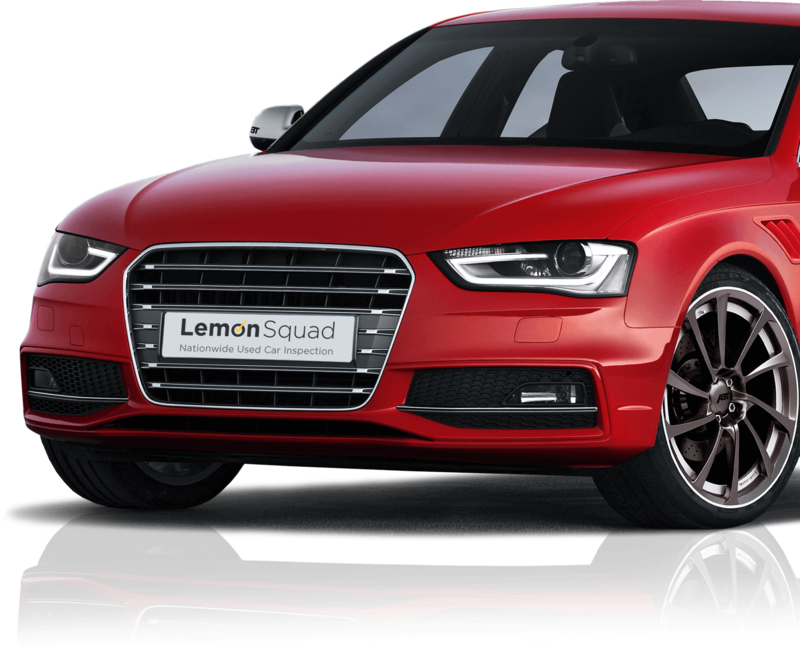 Get your expert car inspection today with Lemon Squad™. We're here to prevent you from buying a lemon. No matter where you live, or where your new car lives--we have an inspector in your area ready to take a look! We even cover Alaska and Hawaii. 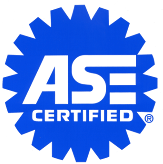 Our network of Expert Inspectors is chock-full of highly qualified, ASE certified technicians! We're a BBB Accredited Business and are dedicated to your satisfaction! Place an order for a vehicle inspection through the site or by phone. Our expert inspector will contact your seller to verify the availability of the vehicle and set up an appointment to inspect your automobile. The inspector will go directly to the vehicle to perform the inspection. The inspector will upload the report to us, and after an intricate error checking and reviewal process, you'll receive notification when your report is ready to login and view. You'll be notified the instant the report is ready to login and view. Get the full history on your vehicle with an AutoCheck report from Experian©. It's complete with vehicle history, accident reports, previous owners, and much, much, more! Add one to your order in the checkout process! Available for all cars with a VIN (1982 and newer). We can also assess your vehicle's true market value to give you peace of mind when considering how much the vehicle is worth. Add a True Market Value Assessment to your order in the checkout process! How soon after I place my order will I get my report? Inspections are typically completed within two business days, depending on the inspector's schedule, the seller's schedule, and the weather. Reports are usually uploaded the following morning that the inspection is done. Inspections that are completed on Friday will have the report reviewed on Saturday morning. We do our best to complete inspections by the next business day as long as the seller makes the car available for review and the inspection is ordered early enough the day before. Occasionally, the seller's schedule, the inspector's schedule or the weather may cause a delay. Please note we cannot guarantee a date of an inspection due to factors outside our control. Customers are encouraged to plan accordingly and make arrangements to hold a vehicle if necessary. We have a better chance of getting the inspection done faster, the sooner you place your order. We do not schedule inspections on weekends. Reports can not be expedited. We do our very best to get them out as soon as possible. What happens if they sell the vehicle I ordered an inspection on? If the vehicle sells before we get there, we will put your order on hold while you look for another vehicle. 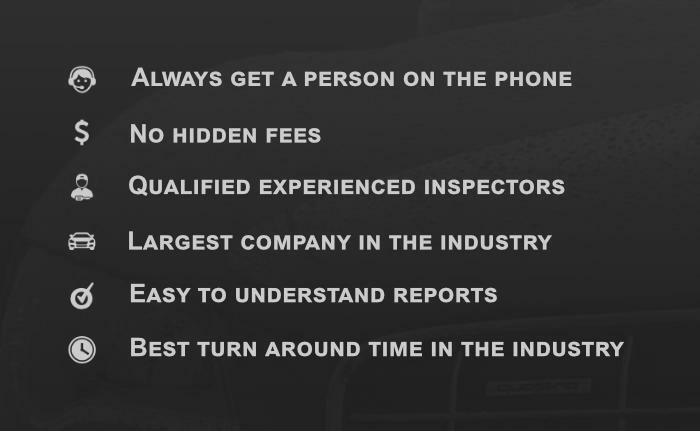 When you find another vehicle you'd like us to inspect, we'll transfer the details and send our inspector right away! My registration is expired. Can I hire you to do an inspection? No. We do pre-purchase inspections before you buy the vehicle to make sure that the vehicle is in good shape. We do not perform any types of state required inspections. You should contact your Department of Motor Vehicles to see if they can help you. I bought a plane ticket/arranged for transportation. How quickly can you do the inspection? Please don't purchase a plane ticket or arrange for transportation until you have your report in your hand. Things can change unexpectedly due to circumstances outside of our control. Be prepared to deal with delays should they arise.